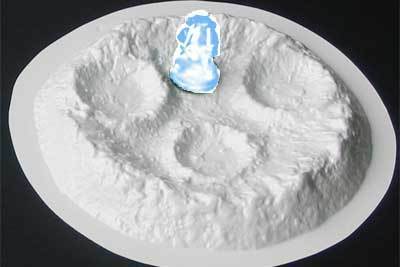 2 low profile craters, one with multiple craters inside. 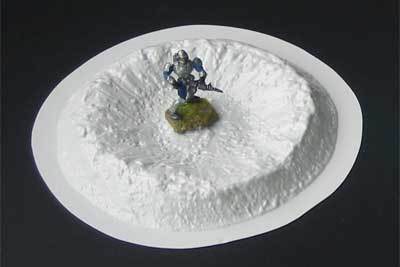 The Future Zone is aimed at futuristic wargaming, for use with 25–28mm figures. 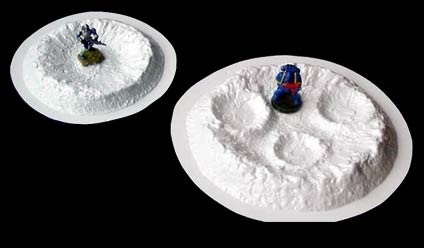 You may also find several of our Fantasy wargaming items of use to Future wargaming, so make sure you check out our products there too. These items are supplied in matt white polystyrene, ready for painting and decorating as required. Please note that some of our images now show the items after painting and decoration. Amera Plastic Mouldings was established in 2003. They design and produce quality vacuum formed plastic mouldings for scale modellers, war gamers and business clients such as Airfix.